Hello! 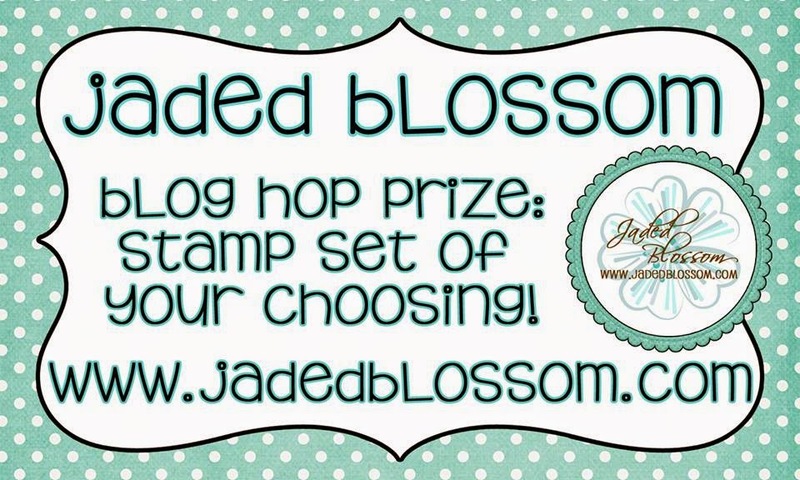 We are here to announce a couple blog hop winners! We are here to announce August's winner and realized we didn't announce July. OOPS! SORRY! Both July and August winners will win a stamp set of their choice. Congrats! Please email us at admin@jadedblossom.com with the stamp set you choose and your address. Congrats to Sue and Stacey!! Yay for the new release!! Congrats! Can't wait for the release!!! Yeah! Thanks for the happy news. I will email with my selection.